Some years ago I worked at a car wash in Toronto. It was located in the parking garage of a downtown skyscraper and our client list included many of Canada’s elite – sports stars, powerful lawyers, famous architects and big business owners. They weren’t all stars but I quickly learned that every customer was to be treated like royalty. I smiled and washed the car. Then he left and that was the last time I ever saw him. His reason for not returning had nothing to do with product, price or service; it was because I made him feel disrespected. Conversely, my friend Josée had a powerfully positive experience. She found herself with a small problem while attending an important business meeting outside the country. Unfortunately, due to extenuating circumstances, she didn’t have a good pair of dress shoes to wear. It was a small matter in the big scheme of things but if you’ve ever had a wardrobe problem, you know how big small things can seem – and Josée needed to be at the top of her game. She mentioned her problem to a workmate and was overheard by Marco, an employee of the company that was helping to put on the meeting. Marco politely interrupted Josée and said he knew of a place nearby where his wife loved to shop for shoes. He offered to take Josée there since the owners didn’t speak her language. My friend agreed. During a break in her schedule Marco took Josée to the shop where she found a perfect pair of shoes for the occasion and returned to the meeting without missing a thing. Marco came to Josée’s assistance several more times in the following days, finding a lost purse, repairing broken jewelry, and assisting with other small but important details. He went out of his way to personally see to her needs, none of which were his official responsibility. In a foreign country where Josée was at a disadvantage, Marco was her knight in shining armor. One thing is certain: if Josée ever returns to that area and needs the services of Marco’s company, competitors would have a very hard time winning her business. Others might be able to compete on product, price and services. But no one can compete with the fact that Marco made Josée feel like a queen. Gaining new business is a combination of price, product and services, and, like in a game of cards, these kings, queens and aces are needed to survive. But to gain repeat business, all the power lies in the trump cards: in other words, how you make your customer feel. Once in play, trump cards change the game dramatically. With bad experiences and negative feelings, the trump cards are against you and you’ll be fighting an uphill battle. 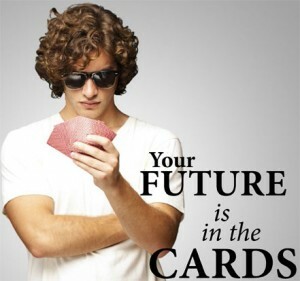 With good experiences and positive customer feelings, the cards are in your favour, and you become an unstoppable force.